Share your favorite photos with us from the Strawberry Festival! 1 winner will be selected and win a package of prizes! 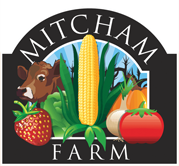 The Strawberry Festival Photo Contest ("Contest") by Mitcham Farm ("Sponsor") starts on April 27, 2019 at 10:00AM EST and ends on April 28, 2019 at 11:59PM EST ("Contest Period"). 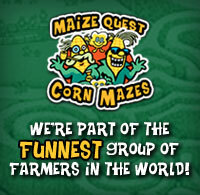 ELIGIBILITY: Contest is open to residents of the United States who are at least 18 years of age. Employees of the Sponsor are not eligible to enter or win. Void where prohibited by law. Contest is subject to all applicable federal, state and local laws. This Contest is in no way sponsored, endorsed or administered by, or associated with, Facebook. HOW TO ENTER: During the Contest, post your photos ("Submissions") from the Strawberry Festival on your page following the instructions listed above. Entries must be received within the Contest Period to be considered. All Submissions become the property of the Sponsor for use in marketing and promotion. SUBMISSION REQUIREMENTS: Entrant must own all rights to the Submission and have the right to grant Sponsor the use of the Submission including the permission of the parent or legal guardian of any child(ren) depicted in the Submission. The Submission must be suitable for a family audience and contain only content that, in the sole and unfettered discretion of Sponsor, is suitable for a general audience. HOW TO WIN: One (1) winning Submission will be chosen by a third party judge on or about April 29, 2019 from all eligible Submissions received during the Contest Period. WINNER NOTIFICATION: Sponsor's decisions are final and binding on all matters relating to this Contest. The winner will be announced on the Mitcham Farm Facebook Page in May 2019. The winner will be notified by the Sponsor via Facebook Message. Noncompliance with these Official Rules by the entrant will result in disqualification and, at Sponsor's sole discretion, prize may be awarded to an alternate. If the potential winner is at least 18 but still considered a minor in his/her jurisdiction of residence, prize may be awarded in the name of his/her parent or legal guardian who will be responsible for fulfilling all requirements imposed on winner set forth herein. PRIZE: The winner will receive (1) bucket of strawberries (to be redeemed by May 15, 2019), (2) strawberry slushies (to be redeemed by May 15, 2019), and (2) general admission tickets to Colonel Cob's Corn Maze (to be redeemed by November 3, 2019). Approximate Retail Value ("ARV"): $40.00. to release, discharge and hold harmless Facebook and the Sponsor and its agents from any and all injuries, liability, losses and damages of any kind to persons, including death, or property resulting, in whole or in part, directly or indirectly, from entrant's participation in the Contest or any Contest-related activity or the acceptance, possession, use or misuse of any awarded prize; 3) to the use of entrant's name, voice, performance, Submission, and/or likeness for programming, advertising, publicity and promotional purposes in any and all media, now and in the future, worldwide and on the Internet, and in perpetuity by Sponsor and its designees, without compensation (unless prohibited by law) or additional consents from entrant or any third party and without prior notice, approval or inspection, and to execute specific consent to such use.